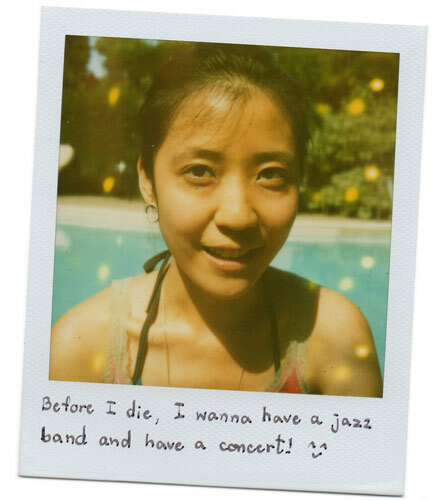 Before I die, I wanna have a jazz band and have a concert! 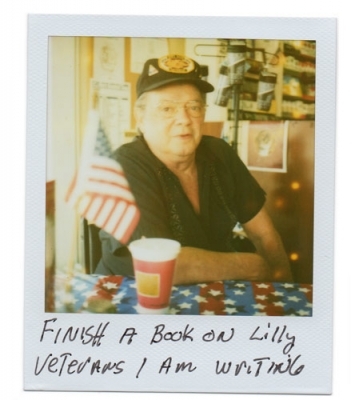 Finish a book on Lilly veterans I am writing. 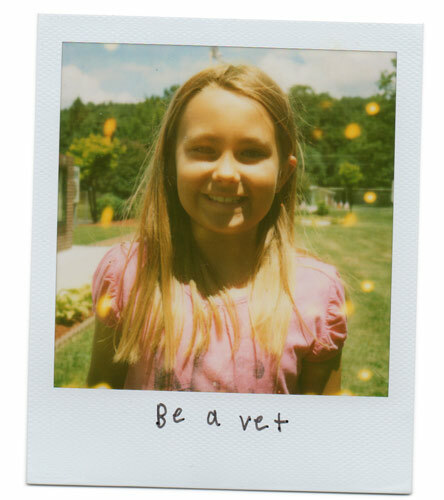 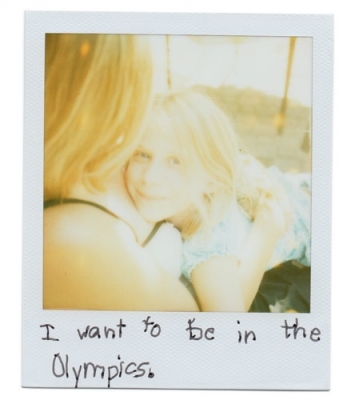 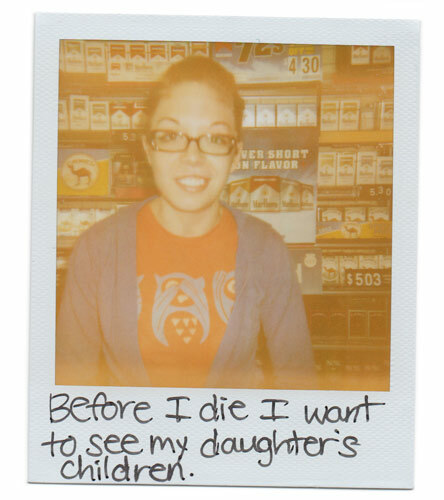 Before I die I want to see my daughter's children. 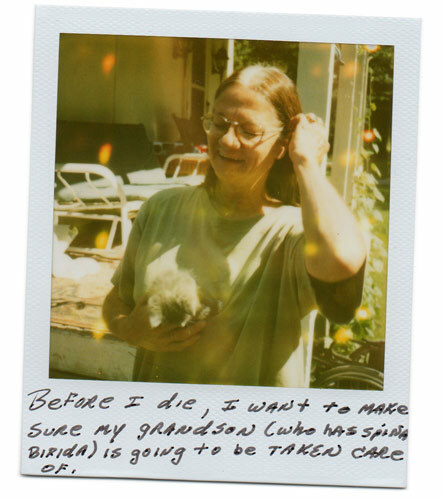 Before I die, I want to make sure my grandson (who has spinal birida) is going to be taken care of. 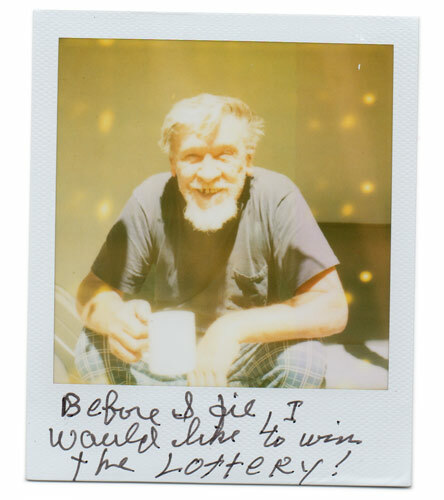 Before I die, I would like to win the LOTTERY! 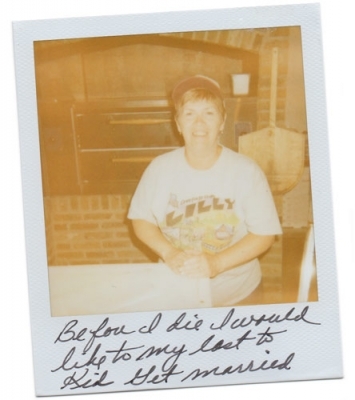 Before I pass away I want to see my grandsons married. 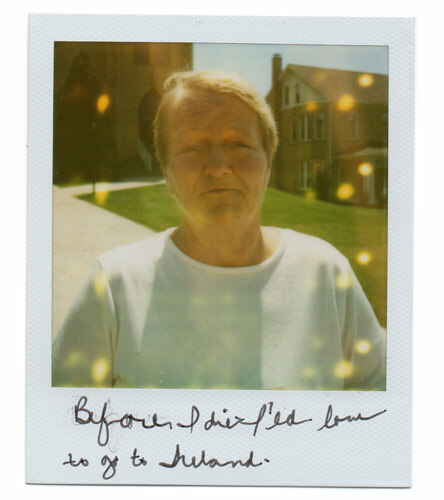 Before I die I'd love to go to Ireland. 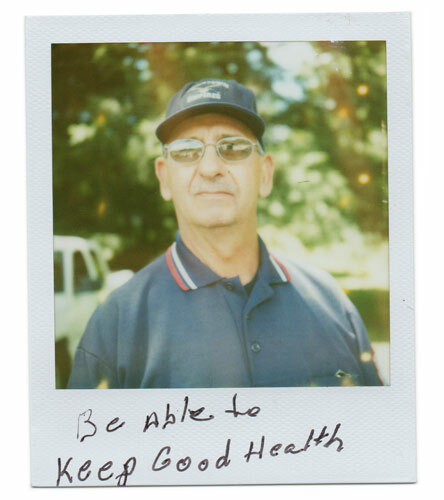 Be able to Keep Good Health. 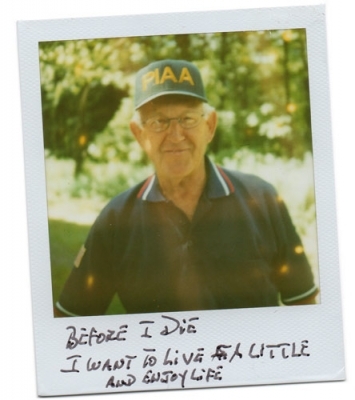 Before I die I want to live a little and enjoy life. 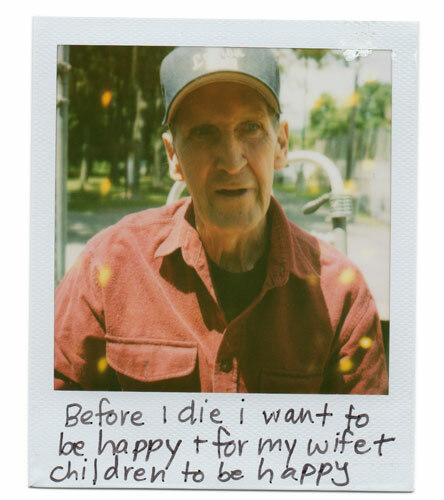 Before I die I want to be happy + for my wife + children to be happy. 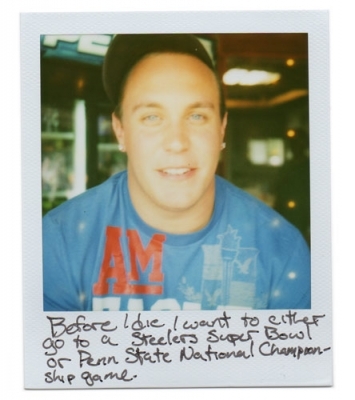 Before I die I want to either go to a Stellers Super Bowl or Penn State National Championship game. 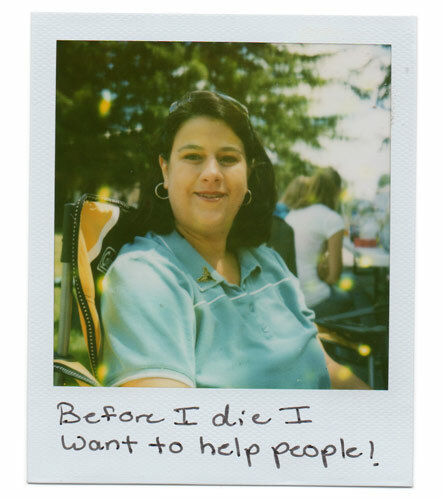 Before I die I want to help people! 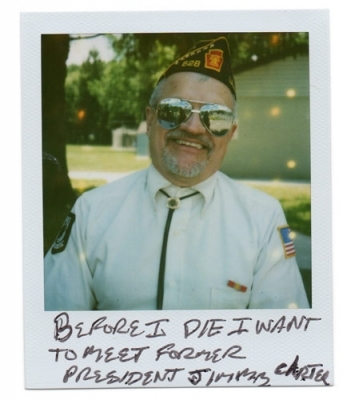 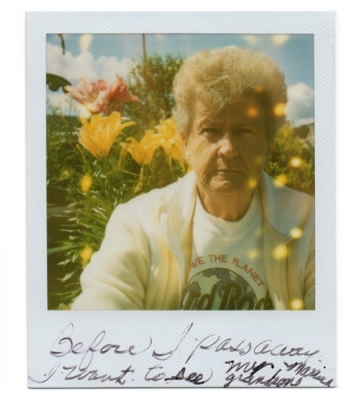 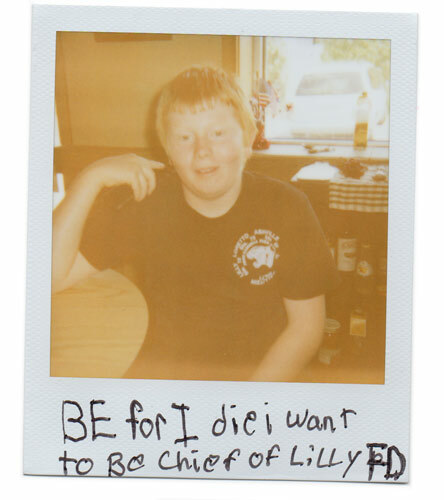 Before I die I want to meet former president Jimmy Carter. 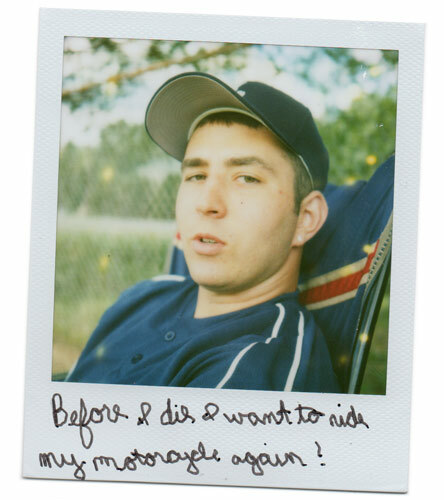 Before I die I want to ride my motorcycle again! 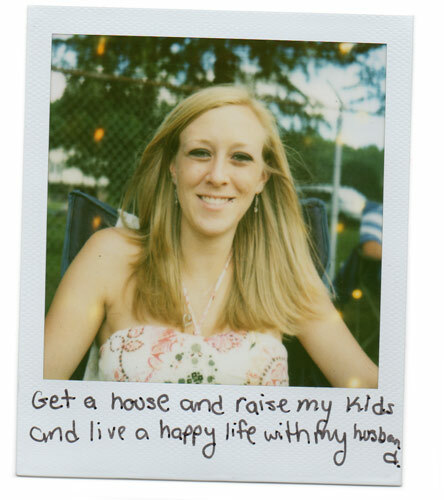 Get a house and raise my kids and live a happy life with my husband.